Let's trekking! Escape the hustle and bustle of Tokyo. 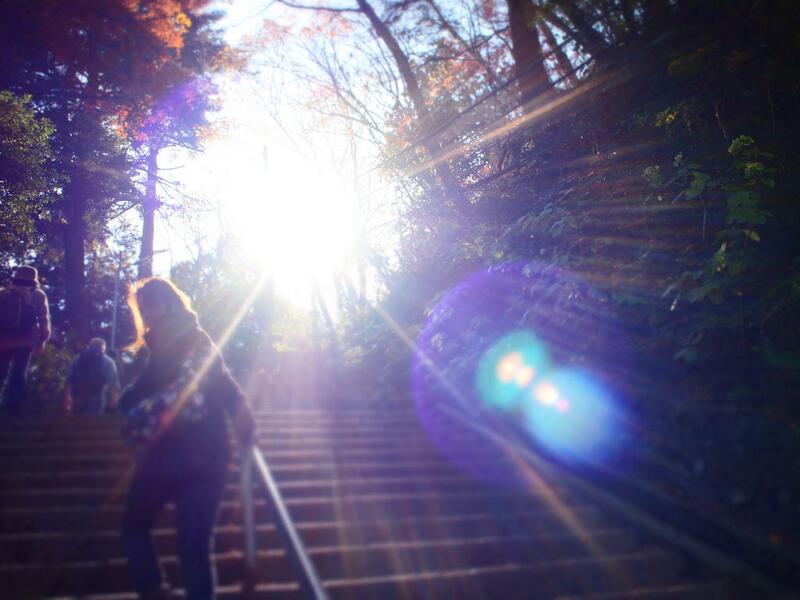 Explore beautiful Mt.Takao. This tour is 7-hour private tour with a private driver-guide. Traveling by comfortable, air-conditioned vehicle from your hotel to the base of the mountain. Mt.Takao is one of the closest natural recreation areas near central Tokyo and has beautiful scenery. The mountain was rated a “must see” receiving three stars from France’s Michelin Guide because of its rich greenery and proximity to the metropolitan area. 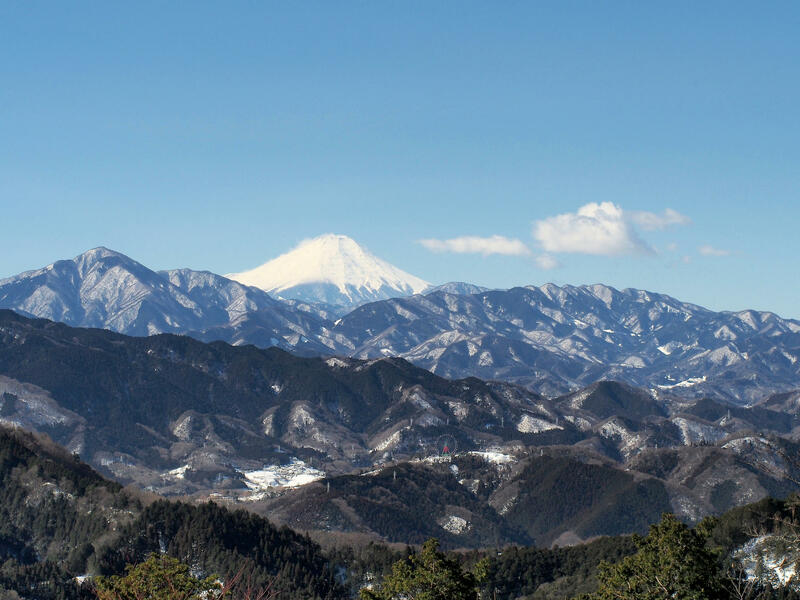 The only mountains in Japan that have achieved a three star rating are Mount Takao and Mount Fuji. 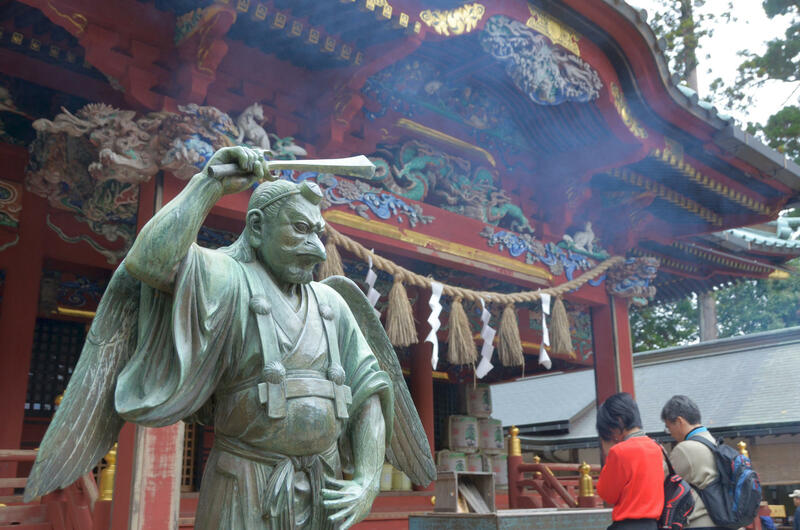 Attractive hiking trail and interesting temple Yakuoin located near the top of the mountain. 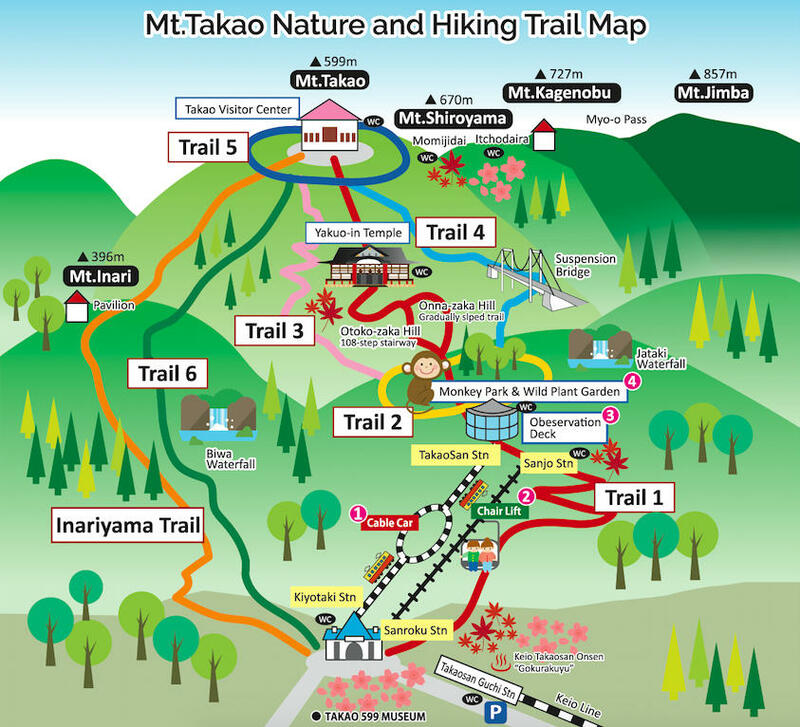 Mt.Takao has 6 hiking trails to the top. In this tour, you can choose to cut the trails to ride chairlift or tram to the top. Th mountatin standing at only 599 meters, it is not so high. It takes a one to two hour climb from the base to the summit on foot. Have a great day out on this small mountain! ・Enjoy the great view of Tokyo from the top of Mt.Takao. ・Photograph beautiful seasonal nature along side of the trail. 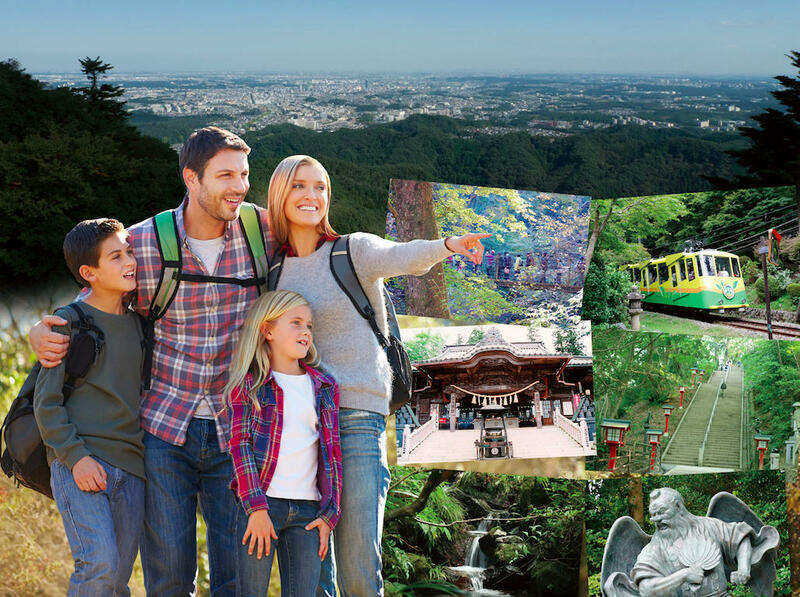 ・Learn the nature including some 1600 species of plants of Mount Takao at Takao 599 Museum. ・Please join us wearing shoes that are easy to walk in because you will walk the mountain paths. ・You can rent trekking paul, poncho(rain wear), binoculars for free.